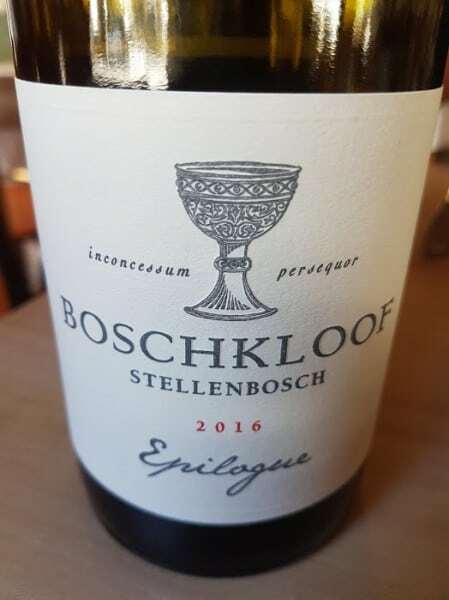 What’s becoming clear with each successive vintage the Epilogue Syrah from Boschkloof is that while it’s one of the most elegant examples of the variety from Stellenbosch, it’s still emphatically of the district, that little bit less skittish than many of its Swartland counterparts. The 2016 is just out. Grapes from a single vineyard planted on granite in 1996, winemaking involved 20% whole-bunch fermentation before maturation lasting 14 months in barrel, 15% new followed by a further period of some three months in tank. The nose displays notes of flowers (violets rather than lavender) and fynbos before red fruit, olive and white pepper. The palate shows pure fruit, fresh acidity and powdery tannins – it’s a wine that’s not insubstantial (alcohol is 14%) but nor is it cumbersome. In fact, it’s really nicely judged managing to combine intricacy with sheer likeability. Price: R690 a bottle. Previous articleMichael Fridjhon: What’s a fair price to pay for a bottle of SA wine? Next articleDoes terroir get enough respect in SA?